Fabulous and Brunette: A Human Element by Donna Galanti - Book Blast - Giveaway - Enter Daily! 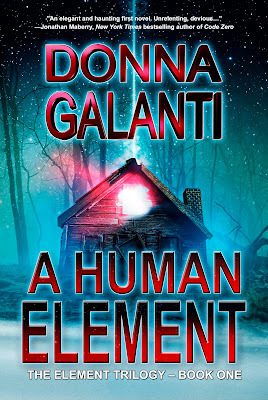 A Human Element by Donna Galanti - Book Blast - Giveaway - Enter Daily! Hi lovelies! It gives me great pleasure today to host Donna Galanti and her new book, “A Human Element”! For other stops on her Goddess Fish Promotions Book Tour, please click on the banner above or any of the images in this post. Be sure to make it to the end of this post to enter to win a $15 Amazon or Barnes and Noble Gift Card! Also, come back daily to interact with Donna and to increase your chances of winning! 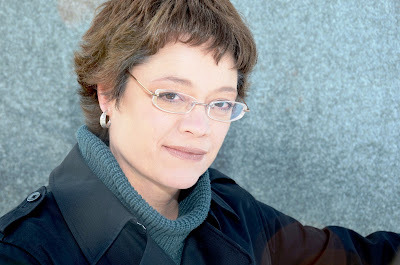 Donna Galanti is the author of the paranormal suspense Element Trilogy (Imajin Books - http://www.imajinbooks.com/) and the children’s fantasy adventure Joshua and The Lightning Road series (Month9Books -http://www.month9books.com/). Donna is a contributing editor for International Thriller Writers the Big Thrill (http://www.thebigthrill.org/) - magazine and blogs with other middle grade authors at Project Middle Grade Mayhem (http://project-middle-grade-mayhem.blogspot.com/search/label/DonnaGalanti). She’s lived from England as a child, to Hawaii as a U.S. Navy photographer. Donna enjoys teaching at conferences on the writing craft and marketing and also presenting as a guest author at elementary and middle schools. Donna will be awarding a $15 Amazon or Barnes and Noble Gift Card to a randomly drawn winner via Rafflecopter during the tour. Thanks so much for having me on with A Human Element! I really appreciate it. PLUS it's on sale all on Kindle this week for just $0.99cents. Happy reading all!